Stanislas Giroux spend 3 weeks traveling on the trans-Siberian passing three different countries and three amazing cultures trying to Beijing from Moscow, crossing Mongolia. The result was this 3 minute inspiring video that made us want to grab a backpack, jump on a train and travel! 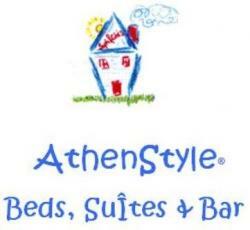 So if you decide to come to Athens, make your reservation through our site http://www.athenstyle.com/ and can guarantee you will have a great time! For yet another year, we celebrated Halloween at AthenStyle Hostel, the best hostel in Athens, with international company and amazing views of the Acropolis and Athens by night! This time, we prepared a special pumpkin risotto for all our guests and we enjoyed it with some delicious sangria!